At the Harvard Model United Nations China 2018 conference, the delegation from Mumbai bagged awards in 12 out of the 14 committees. 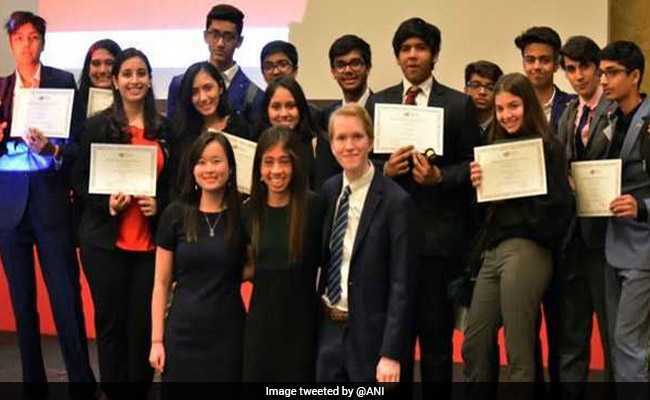 A student delegation from Mumbai left a strong impression in China by winning the Outstanding Large Delegation award at the Harvard Model United Nations China 2018 conference. The delegation from Mumbai's NSS Hill Spring International School bagged individual awards in 12 out of the 14 committees. The Harvard MUN China 2018 saw participation from over 1,200 students from China, South Asia, Southeast Asia and parts of Europe. The students were divided into 14 committees and each committee addressed an important issue that is highlighted under the UN Sustainable Development Goals Agenda 2030. The four-day conference saw delegates engaged in multiple rounds of speeches, debates, negotiations and discussions before coming up with resolutions to solve pressing issues such as water scarcity, poverty and inequality, weaponisation of natural resources, terrorism among others. Sampreeth Reddy, CEO of Worldview Education (co-hosts and partners of the Harvard MUN in India) said, "This award is a testament to the investment that the management, teachers and parents of NSS Hill Spring International School have put in over the years." NSS Hill Spring International School has been participating in the Harvard MUN conferences in India and China consistently for the past eight years. "This recognition is thoroughly deserved," Mr Reddy added. The school also has an active MUN club and hosts their own MUN conference every year. The Harvard MUN is a conference hosted by the International Relations Council at Harvard University every year in Boston, Beijing and Hyderabad. The eighth edition of Harvard MUN India will be held from August 12-15 2018 in Hyderabad.